The ultimate in Deco inspired elegance, the Orion Sofa by Eichholtz is exquisitely made with impeccable attention to detail from the sumptuous upholstery down to the effortlessly elegant brass legs. 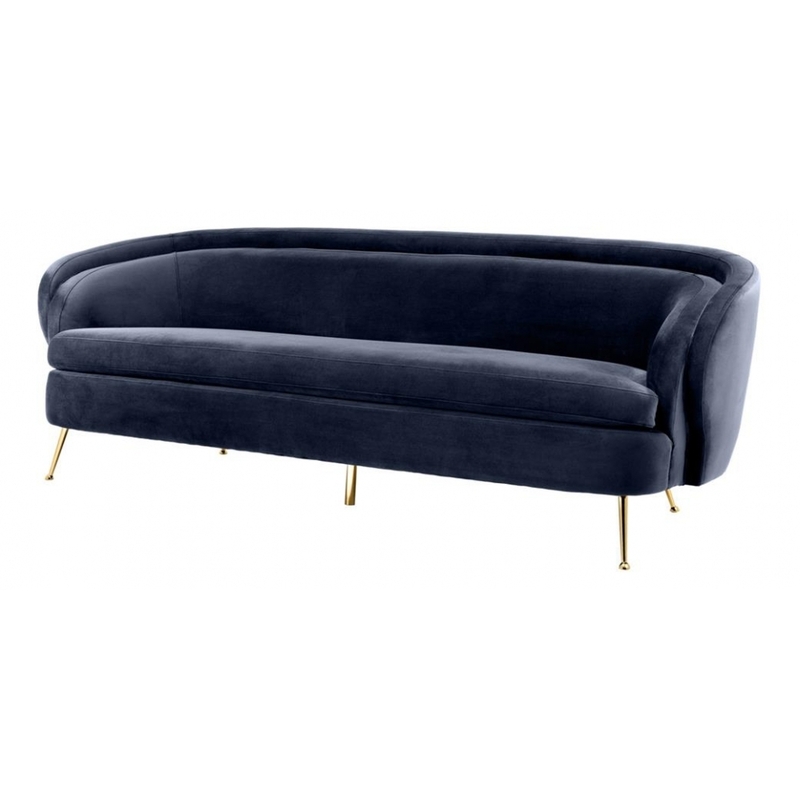 Finished in a most sophisticated Savona midnight blue velvet, the Orion Sofa is the epitome of this classic by-gone era which lends itself beautifully to both traditional and contemporary interior design schemes. Perfect for a casual seating arrangement in an office reception or cocktail lounge, ideal for a vintage sitting room or modern bedroom suite, the versatile Orion Sofa will add a sense of familiar and reassured style to any home or business. Pair with the Orion Chair for a seamless, co-ordinated seating solution. Here at Uber, we have an extensive directory of Eichholtz luxury homewares and other, similarly high quality interior brands to choose from. Why not contact our expert interior design team for further details and inspiration to help you find the perfect curated collection for your next home, yacht, bar or hotel design project?